Over the past summer I wound up building a rash of budget systems for friends and family; over the past year you can chalk a couple more up. I actually have about two more queued up for the holiday season, so suffice it to say I keep a list of go-to parts for my builds that I've been consistently satisfied with. For this build I decided to go for a sort of "optimum budget" machine, and with most selections I'll have a suggestion as to how to reduce the price tag without hurting overall quality. There are some compromises made here—note the lack of a video card—but I'm perfectly happy putting my stamp on this system. The first big decision is the processor, and I want something that'll last. It's true that Grandma Millie may not need all that power, but I've found that the AMD Athlon II X4 has been my go-to for nearly every budget build since its inception; it's just that good of a deal. The price-performance is undeniable and when you can get a quad core for $99, why would you settle for less? If you need to make a deeper cut for users who aren't going to push the system that hard, I've been remarkably impressed by the AMD Sempron 140. It's a 2.7GHz single core, but of the three I've built, two have unlocked into stable dual-cores—i.e. 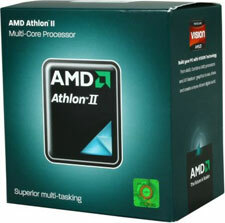 Athlon II X2—and at $33, it's an absolute steal. Picking the motherboard turned out to be a bit trickier, but I've found myself consistently satisfied with boards from MSI, Gigabyte, and ASUS. After narrowing the brand down, I want an integrated chipset that's going to pass my "Grandma Test:" is it powerful enough to play Hulu and YouTube HD video? That leaves us with the 785G and 880G chipsets, and since those have hit price parity (actually the 880G is cheaper now! ), I opted to go with MSI's 880GM-E41. I'm not too thrilled about the SB710 Southbridge, but the lack of 6Gbps SATA isn't devastating. The ATI Radeon HD 4250 integrated graphics part offers enough horsepower to even play the odd game, but mostly it's there for hardware-accelerated video and Flash (with 10.1), which can make a big difference with Hulu. Unfortunately, this is about as low as I'll go; other cheaper integrated chipsets don't bring that acceleration to the table. As far as memory goes, I'll be blunt here: I only buy Corsair for my own builds. Jarred recommends an A-DATA set on his build and I've been happy with them; the fundamental deal with RAM is this: it either works or it doesn't. The problem is that when RAM is bad, it can be difficult to figure out. I've used Corsair on nearly every build I've done for friends and family and I've seen a whole one bad stick of it. With 2GB kits only shaving maybe $20 off the cost of the build, it's hard to justify not going the full 4GB. If every penny must be spared, I wouldn't be unhappy with this Kingston 2GB (2x1GB) DDR3-1333 kit at $38; in my experience Kingston is another good, reliable brand. With hard disk prices the way they are, your bottom rung should really be 500GB of storage; the amount you pay for the capacity you get below $50 just isn't worth it. I've also been consistently happy with Western Digital's Caviar Blue drives, but this would be a good time to bring out a new cult favorite: the Samsung SpinPoint F3 1TB drive is stupid fast, and if you know where to look you can usually get it for about $60. For the budget sector, we opted to go with the 500GB model and save $20. 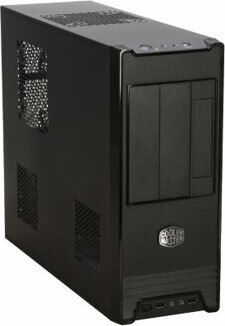 As far as budget cases go, I've been very happy with the Cooler Master Elite 360 and have used it on a few builds; in fact, I actually have one in my house for my media center PC. The Elite 360 isn't built for big, power-hungry builds, but it's usually cool and quiet enough for even a decent gaming machine provided you opt for a video card that will fit in the enclosure. I've elected to pair it with a 380W Antec EarthWatts Green power supply (don't forget the power cord if you don't have extras! ); there's enough room to breathe for an efficient video card like an ATI Radeon HD 5770 down the road (which will fit just fine in the Elite 360), and you never want to cheap out on the power supply if you can avoid it. The rest is going to be a matter of religion and taste. You can get a decent display with (crappy) built-in speakers for a low price. For the operating system, there's always Ubuntu, or you can usually find a good deal on Windows 7 if you know where to look (student discounts are amazing for this). But the build I've specced out here is something I'd be confident with. I've got comparable parts running in machines at home and in the machines of friends and family, and there's been nary a peep from anyone. That should tell you the real value of speccing out a good system from the get-go and not cutting corners on parts: peace of mind, and peace and quiet.